Templeton Award winner and theoretical physicist John Polkinghorne explores the gap between science and religion. "Do we have to choose between the scientific and religious views of the world, or are they complementary understandings that give us a fuller picture than either on their own would provide?" 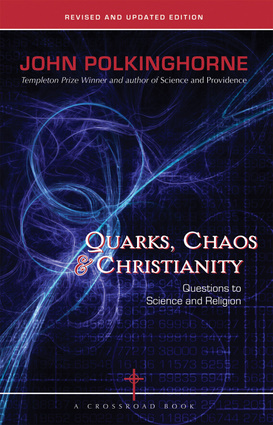 Quarks, Chaos, & Christianity shows the ways that both science and religion point to something greater than ourselves. Topics include: chaos theory; evolution; miracles; cosmology; guest for God; how God answers prayer; our human nature; religious fact and opinion; scientists and prayer.